director positions in high-growth technology companies. With significant expertise in both public and private companies, Offerdahl has led three initial public offerings, executed numerous mergers and acquisitions, and is known for his ability to grow revenues and profits both domestically and internationally. Currently, Offerdahl serves on several boards, including Q2 Holdings (NYSE:QTWO), a developer and provider of online banking software and services to community banks and credit unions, and Side by Side Kids, a non-profit that serves underprivileged children in Austin, Texas. Offerdahl is the former chairman of the board for Traq Wireless and a former board member of FuelQuest and Pervasive Software. From January 2013 to February 2018, Offerdahl served as CFO of Bazaarvoice (NASDAQ:BV). He grew annual free cash flow from negative $54 million to a positive run rate of $11 million and EBITDA from negative $18 million to a positive run rate of $31 million. Offerdahl accomplished this while significantly investing in growth opportunities, enabling the company’s revenue growth rate to recently increase. This turnaround occurred despite having to comply with a 2014 settlement agreement resulting from a DOJ antitrust suit filed prior to Offerdahl’s tenure. Bazaarvoice was recently acquired by Marlin Equity Partners for $5.50 per share, an 18% premium to the average closing price over the 30-day period prior to the definitive agreement. From 2005 to 2012, Offerdahl served as CFO of Convio (NASDAQ:CNVO), which he took public in April 2010 at $9 per share. In May 2012, Blackbaud acquired Convio for $16 per share, or $325 million. During his tenure, Offerdahl helped Convio grow from approximately 100 employees and $9 million of revenue in 2004 to over 400 employees and $80 million of revenue in 2011. While there, he completed three strategic acquisitions and raised over $65 million in public, venture and debt financings. From 2001 to 2004, Offerdahl served as CEO and Chairman of the Board of Traq Wireless, growing Traq from $0.7 million to $4.7 million in revenue. He raised $16 million in venture capital, built the executive team, and developed new products to position Traq more broadly in the wireless management market. Traq was sold to Tangoe Corporation in 2007, which went public in 2011 and produced more than 4x cash returns to Traq’s lead venture investor. 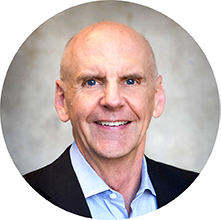 Prior to Traq, Offerdahl was CFO of Pervasive Software (NASDAQ:PVSW) from 1996 to 2001 and COO from 1998 to 2001, and board director from 2001 to 2002. Pervasive expanded globally from $30 million of revenue in 1997 to $64 million in 1999. Offerdahl led Pervasive’s initial public offering in 1997 and secondary offering in 1999. From 1993 to 1996, Offerdahl was CFO of Tivoli Systems (NASDAQ:TIVS), where he helped grow the company from 100 employees and $13 million of revenue to over 300 employees and $50 million of revenue. He also led Tivoli’s initial public offering in 1995. In 1996, IBM acquired Tivoli for $743 million. Jim Offerdahl is the recipient of the 2012 Austin Business Journal Legacy Award. He is married, has a grown son, and resides in Austin, Texas. In his free time, he enjoys golfing, skiing, and spending time with his family.